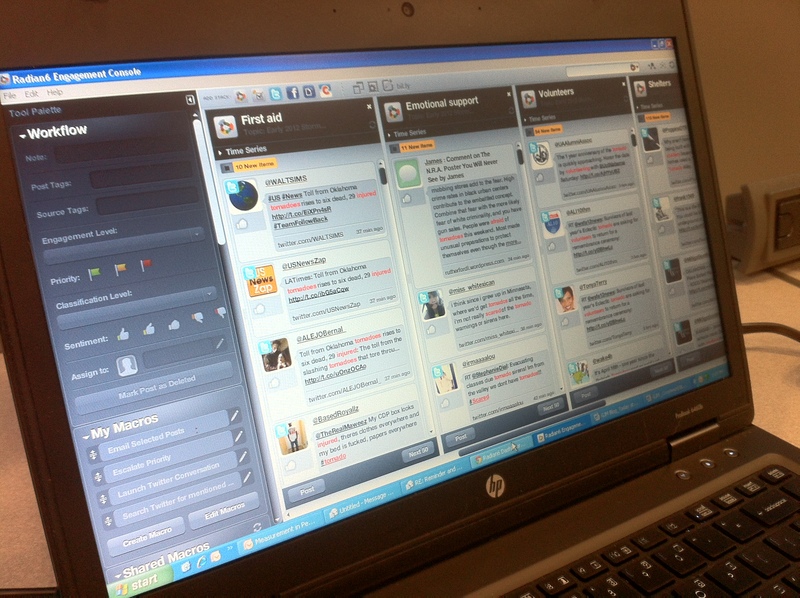 Social media is increasingly used for communicating during crises. This rise in Big (Crisis) Data means that finding the proverbial needle in the growing haystack of information is becoming a major challenge. Social media use during Hurricane Sandy produced a “haystack” of half-a-million Instagram photos and 20 million tweets. 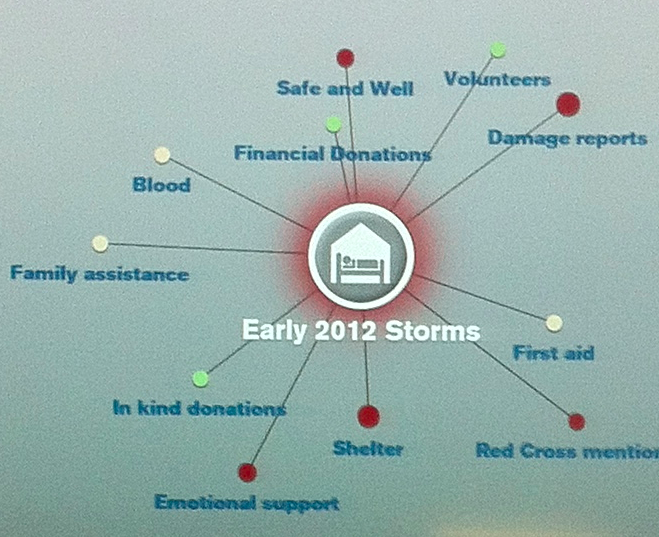 But which of these were actually relevant for disaster response and could they have been detected in near real-time? 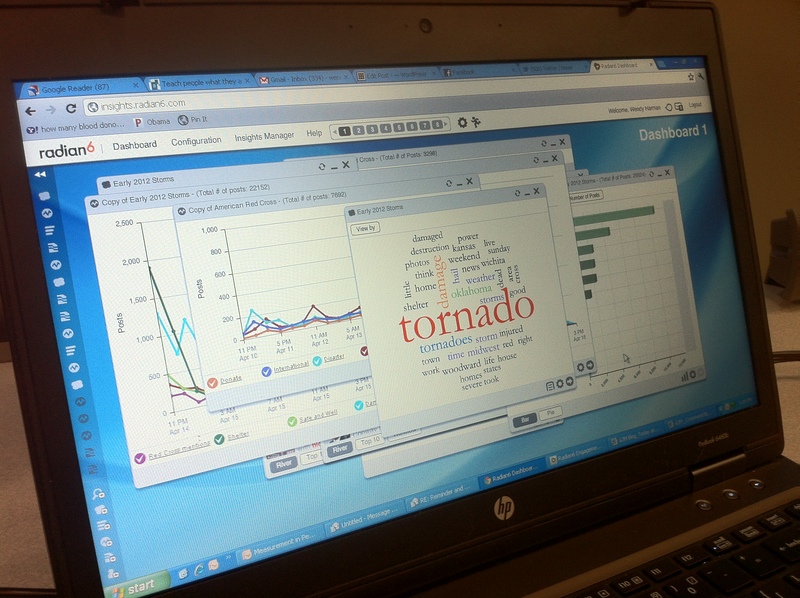 The purpose of QCRI’s experimental Twitter Dashboard for Disaster Response project is to answer this question. But what about the credibility of the needles in the info-stack? To answer this question, our Crisis Computing Team at QCRI has partnered with the Social Computing & Artificial Intelligence Lab at the Masdar Institute of Science and Technology. This applied research project began with a series of conversations in mid-2012 about DARPA’s Red Balloon Challenge. This challenge posted in 2009 offered $40K to the individual or team that could find the correct location of 10 red weather balloons discretely placed across the continental United States, an area covering well over 3 million square miles (8 million square kilometers). My friend Riley Crane at MIT spearheaded the team that won the challenge in 8 hours and 52 minutes by using social media. Riley and I connected right after the Haiti Earthquake to start exploring how we might apply his team’s winning strategy to disaster response. But we were pulled in different directions due to PhD & post-doc obligations and start-up’s. Thank-fully, however, Riley’s colleague Iyad Rahwan got in touch with me to continue these conversations when I joined QCRI. Iyad is now at the Masdar Institute. We’re collaborating with him and his students to apply collective intelligence insights from the balloon to address the problem of false or misleading content shared on social media during disasters. If 10 balloons planted across 3 million square miles can be found in under 9 hours, then surely the answer to the question “Did Hurricane Sandy really flood this McDonald’s in Virginia?” can be found in under 9 minutes given that Virginia is 98% smaller than the “haystack” of the continental US. Moreover, the location of the restaurant would already be known or easily findable. The picture below, which made the rounds on social media during the hurricane is in reality part of an art exhibition produced in 2009. One remarkable aspect of the social media response to Hurricane Sandy was how quickly false information got debunked and exposed as false—not only by one good (digital) Samaritan, but by several. Having access to accurate information during a crisis leads to more targeted self-organized efforts at the grassroots level. 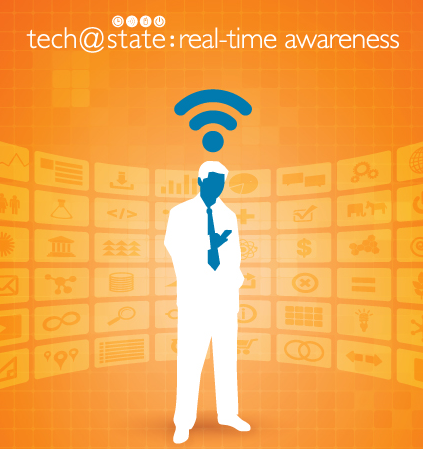 Accurate information is also important for emergency response professionals. The verification efforts during Sandy were invaluable but disjointed and confined to the efforts of a select few individuals. What if thousands could be connected and mobilized to cross-reference and verify suspicious content shared on social media during a disaster? Say an earthquake struck Santiago, Chile a few minutes ago and contradictory reports begin to circulate on social media that the bridge below may have been destroyed. Determining whether transportation infrastructure is still useable has important consequences for managing the logistics of a disaster response opera-tion. So what if instead of crowdsourcing the correct location of balloons across an entire country, one could crowdsource the collection of evidence in just one city struck by a disaster to determine whether said bridge had actually been destroyed in a matter of minutes? To answer these questions, QCRI and Masdar have launched an experimental platform called Verily. We are applying best practices in time-critical crowd-sourcing coupled with gamification and reputation mechanisms to leverage the good will of (hopefully) thousands of digital Samaritans during disasters. This is experimental research, which means it may very well not succeed as envisioned. But that is a luxury we have at QCRI—to innovate next-generation humanitarian technologies via targeted iteration and experimentation. For more on this project, our concept paper is available as a Google Doc here. We invite feedback and welcome collaborators. 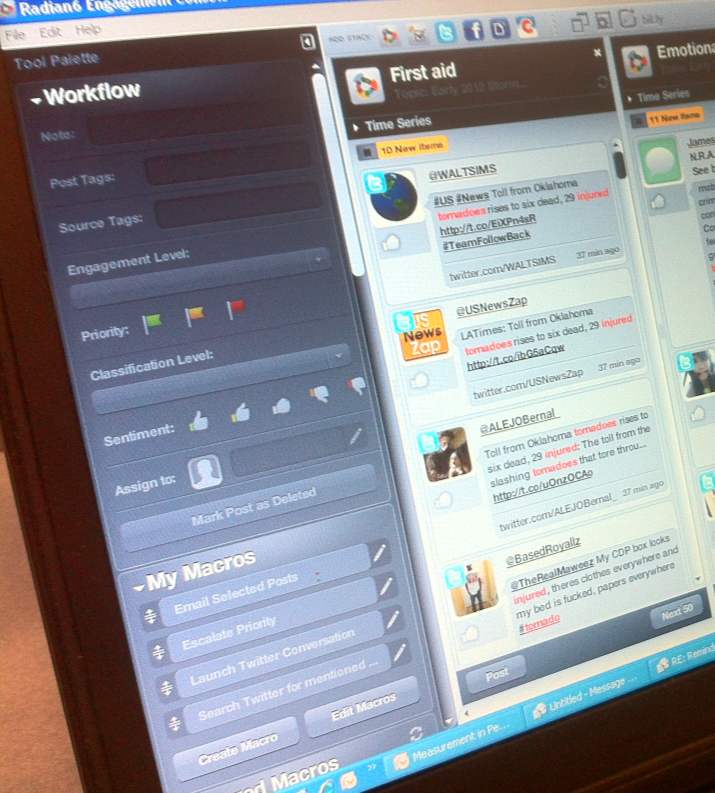 In the meantime, we are exploring the possibility of integrating the InformCam mobile application as part of Verily. InformaCam adds important metadata to images and videos taken by eyewitnesses. “The metadata includes information like the user’s current GPS coordinates, altitude, compass bearing, light meter readings, the signatures of neighboring devices, cell towers, and wifi net-works; and serves to shed light on the exact circumstances and contexts under which the digital image was taken.” We are also talking to our partners at MIT’s Computer Science & Artificial Intelligence Lab in Boston about other mobile solutions that may facilitate the use of Verily. Again, this is purely experimental and applied research at this point. We hope to have an update on our progress in the coming months. My good friend Riley Crane just co-authored a very interesting study entitled “Time-Critical Social Mobilization” in the peer-reviewed journal Science. Riley spearheaded the team at MIT that won the DARPA Red Balloon competition last year. His team found the locations of all 10 weather balloons hidden around the continental US in under 9 hours. While we were already discussing alternative approaches to crowdsourcing for social impact before the competition, the approach he designed to win the competition certainly gave us a whole lot more to talk about given the work I’d been doing on crowd sourcing crisis information and near real-time crisis mapping. This explains the rationale behind DARPA decision to launch their Red Balloon Challenge: “to explore the roles the Internet and social networking play in the timely communication, wide-area team-building, and urgent mobilization required to solve broad-scope, time-critical problems.” So 10 red weather balloons were discretely placed at different locations in the continental US. A senior analyst at the National Geospatial-Intelligence Agency is said to have characterized the challenge is impossible for conventional intelligence-gathering methods. Riley’s team found all 10 balloons in 8 hours and 36 minutes. How did they do it? In other words, the reward offers by Team MIT “scales with the size of the entire recruitment tree (because larger trees are more likely to succeed), rather than depending solely on the immediate recruited friends.” What is stunning about Riley et al.’s approach is that their “attrition rate” was almost half the rate of other comparable social network experiments. In other words, participants in the MIT recruitment tree were about twice as likely to “play the game” so-to-speak rather than give up. In addition, the number recruited by each individual followed a power law distribution, which suggests a possible tipping point dynamic. In conclusion, the mechanism devised by the winning team “simultaneously provides incentives for participation and for recruiting more individuals to the cause.” So what insights does this study provide vis-a-vis live crisis mapping initiatives that are volunteer-based, like those spearheaded by the Standby Volunteer Task Force (SBTF) and the Humanitarian OpenStreetMap (HOT) communities? While these networks don’t have any funding to pay volunteers (this would go against the spirit of volunteerism in any case), I think a number of insights can nevertheless be drawn. In the volunteer sector, the “currency of exchange” is credit. That is, the knowledge and acknowledgement that I participated in the Libya Crisis Map to support the UN’s humanitarian operations, for example. I recently introduced SBTF “deployment badges” to serve in part the public acknowledgment incentive. SBTF volunteers can now add badges for deployments there were engaged in, e.g., “Sudan 2011”; “New Zealand 2011”, etc. What about using a recursive credit mechanism? For example, it would be ideal if volunteers could find out how a given report they worked on was ultimately used by a humanitarian colleague monitoring a live map. Using the Red Balloon analogy, the person who finds the balloon should be able to reward all those in her “recruitment tree” or in our case “SBTF network”. 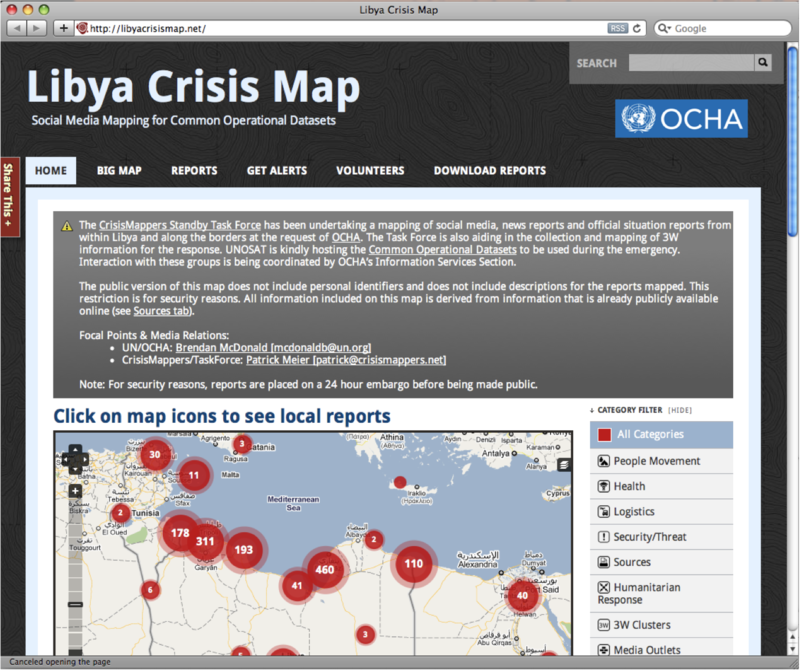 Lets say Helena works for the UN and used the Libya Crisis Map whilst in Tripoli. She finds an important report on the map and shares this with her colleagues on the Tunisian border who decide to take some kind of action as a result. Now lets say this report came from a tweet that Chrissy in the Media Monitoring Team found while volunteering on the deployment. 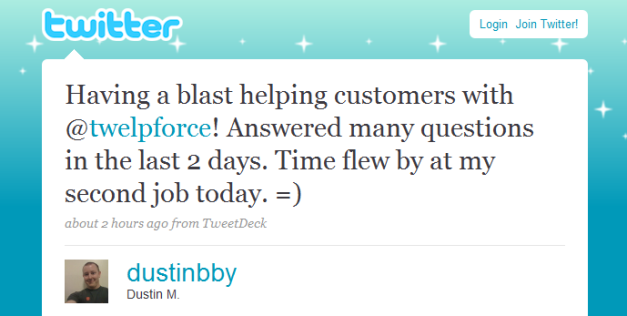 She shared the tweet with Jess in the GPS Team who found the coordinates for the location referred to in that tweet. Melissa then added this to the live map being monitored by the UN. Wouldn’t be be ideal if each could be sent an email letting them know about Helena’s response? I realize this isn’t trivial to implement but what would have to be in place to make something like this actually happen? Any thoughts? On the recruitment side, we haven’t really done anything explicitly to incentivize current volunteers to recruit additional volunteers. Could we incentivize this beyond giving credit? Perhaps we could design a game-like point system? Or a fun ranking system with different titles assigned according to the number of volunteers recruited? Another thought would be to simply ask existing volunteers to recruit one or two additional volunteers every year. We currently have about 700 volunteers in the SBTF, so this might be one way to increase substantially in size. I’m not sure what type of mechanism we could devise to simultaneously provide incentives for participation and recruitment. Perhaps those incentives already exist, in the sense that the SBTF response to international crises, which perhaps serves as a sufficient draw. I’d love to hear what iRevolution readers think, especially if you have good ideas that we could realistically implement! 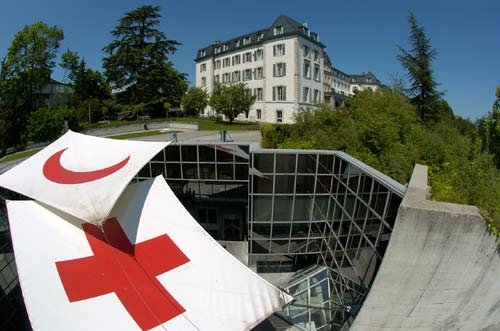 I recently had the distinct pleasure of giving this year’s keynote address at the Global Communications Forum (#RCcom on Twitter) organized by the Interna-tional Committee of the Red Cross (ICRC) in Geneva. The conversations that followed were thoroughly fruitful and enjoyable. 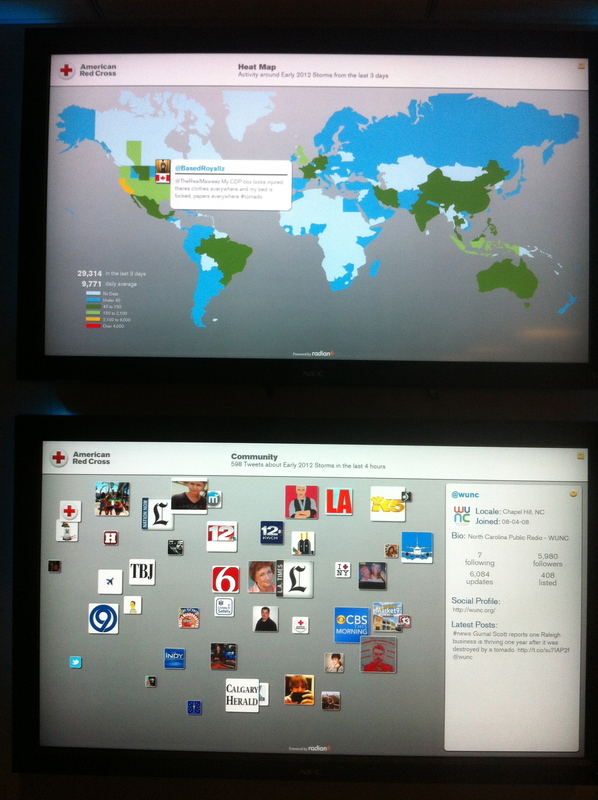 Like many other humanitarian organizations, the ICRC is thinking hard about how to manage the social media challenge. 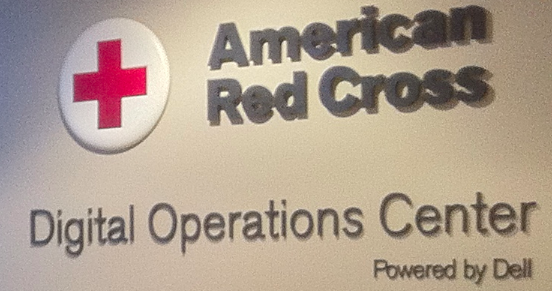 In 2010, this study carried out by the American Red Cross (ARC) found that the public increasingly expects humanitarian organizations to respond to pleas for help posted on social media platforms like Facebook, Twitter, etc. The question is, how in the world are humanitarian organizations supposed to handle this significant increase in “customer service” requests? Even during non-emergencies, ARC’s Facebook page receives a large number of comments on a daily basis many of which solicit replies. This figure escalates significantly during crises. So what to do? The answer, in my opinion, requires some organizational change. Clearly, the dramatic rise in customer service requests posted on social media platforms cannot be managed through existing organizational structures and work flows. Moreover, the vast majority of posted requests don’t reflect life threatening situations. In other words, responses to many requests don’t require professional emergency responders. So humanitarian organizations should consider taking a two-pronged strategy to address the social media challenge. 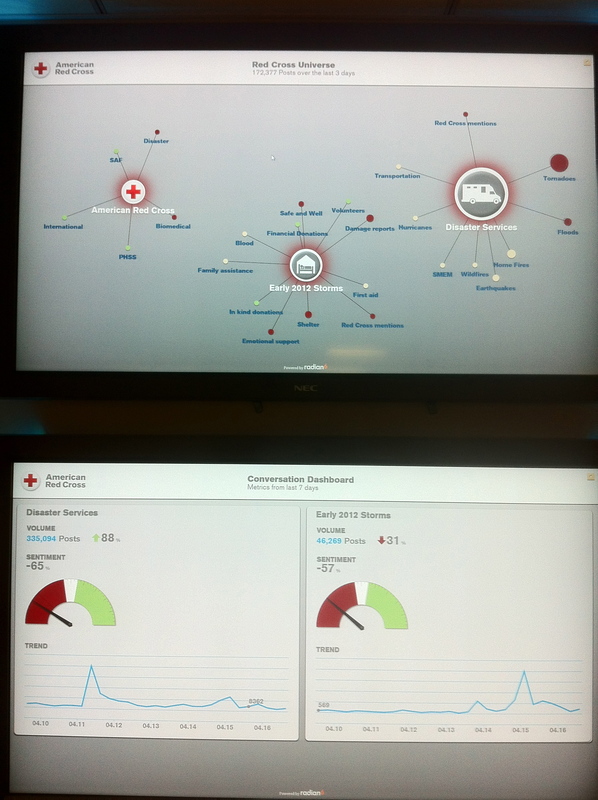 The first is to upgrade their “customer service systems” and the second is to connect these systems with local networks of citizen crisis responders. 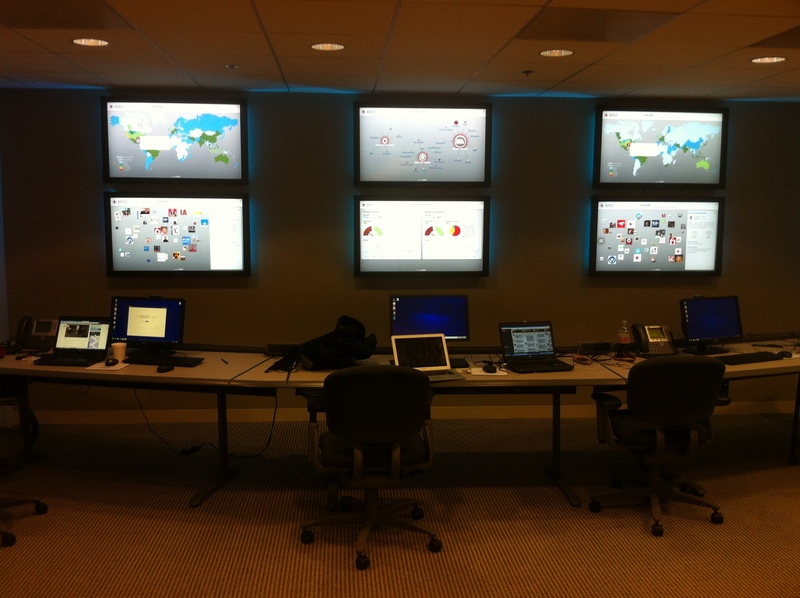 How do large private sector companies deal with the social media challenge? Well, some obviously do better than others. (Incidentally, this question was a recurring topic of conversation at the Same Wavelength conference in London where I spoke after Geneva). This explains why I recommended that my ICRC colleagues consider various social media customer service models used in the private sector and identify examples of positive deviance. The latest innovation in the customer service space was just launched at TechCrunch Disrupt this week. 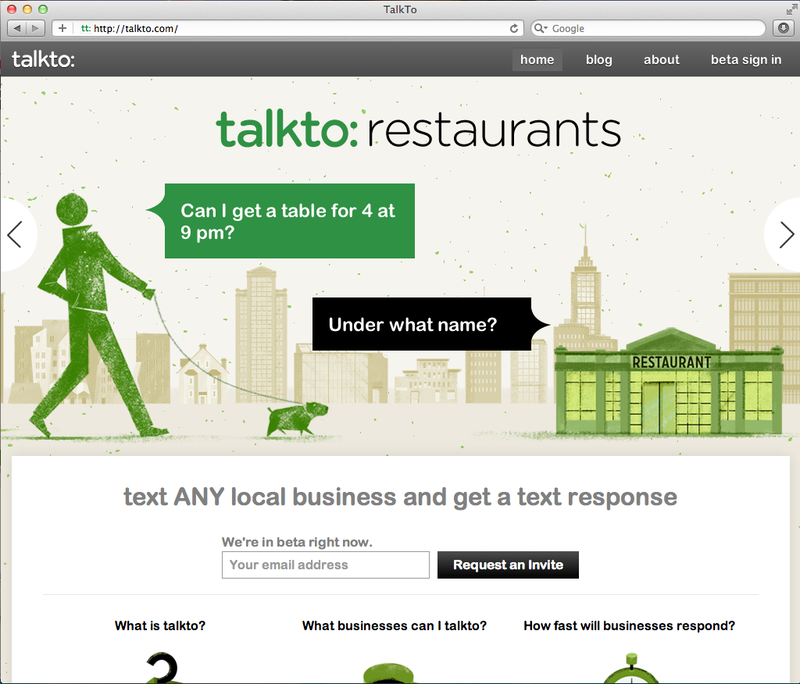 TalkTo “allows consumers to send text messages to any business and get quick responses to questions, feedback, and more.” As TechCrunch writes, “no one wants to wait on the phone, and email can be slow as well. SMS Messaging is a natural form of communication these days and the most efficient for simple questions. It makes sense to bring this communication to businesses.” If successful, I wonder whether TalkTo will add Twitter and Facebook to their service as other communication media. On the humanitarian side, the American Red Cross has begun to leverage their trained volunteers to manage responses to the organization’s official Facebook page, for example. With some good foundational guideposts and training tools, they should be able to scale this solution. In some ways, one could say that humanitarian organizations are increasingly required to play the role of “telephone” operator. So I’d be very interested in getting feedback from iRevolution readers on alternative, social media approaches to customer service in the private sector. If you know of any innovative ones, please feel free to share in the comments section below. The second strategy that humanitarian organizations need to consider is linking this new customer service system to networks of citizen crisis responders. An “operator” on the ARC Facebook page, for example, would triage the incoming posts by “pushing” them into different bins according to topic and urgency. Posts that don’t reflect a life-threatening situation but still require operational response could simply be forwarded to local citizen crisis responders. The rest can be re-routed to professional emergency responders. 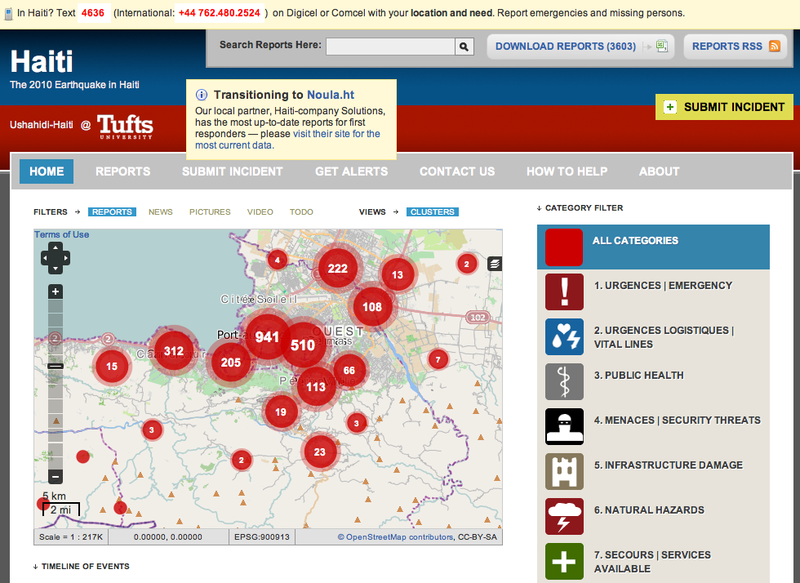 Geo-fenced alerts from crisis mapping platforms could also play an important role in this respect. One should remember that the majority of crisis responses are “crowdsourced” by definition since the real first responders are always local communities. For example, “it is well known that in case of earthquakes, such as the one that happened in Mexico City, the assistance to the victims comes first of all from the other survivors […]” (Gilbert 1998). In fact, estimates suggest that, “no more than 10 per cent of survival in emergencies can be contributed to external sources of relief aid” (Hillhorst 2004). So why not connect humanitarian customer service systems to local citizen crisis responders and thereby make the latter’s response more targeted and efficient rather than simply ad hoc? I’ve used the term “crowdfeeding” to describe this idea in previous blog posts like this one and this one. We basically need a Match.com for citizen based crisis response in which both problems and solutions are crowdsourced. So where are these “new” citizen crisis responders to come from? How about leveraging existing networks like Community Emergency Response Teams (CERTs), the UN Volunteer system (UNVs), Red Cross volunteer networks and platforms like Red Cross Volunteer Match? Why not make use of existing training materials like FEMA’s online courses? Universities could also promote the idea of student crisis responders and offer credit for relevant courses. Update: New app helps Queensland coordinate volunteers.